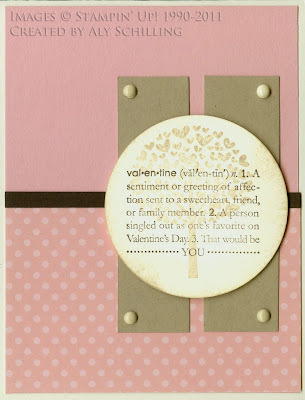 Here are three more Valentine cards that I got at Stampin' Up! 's Leadership Conference earlier this month. 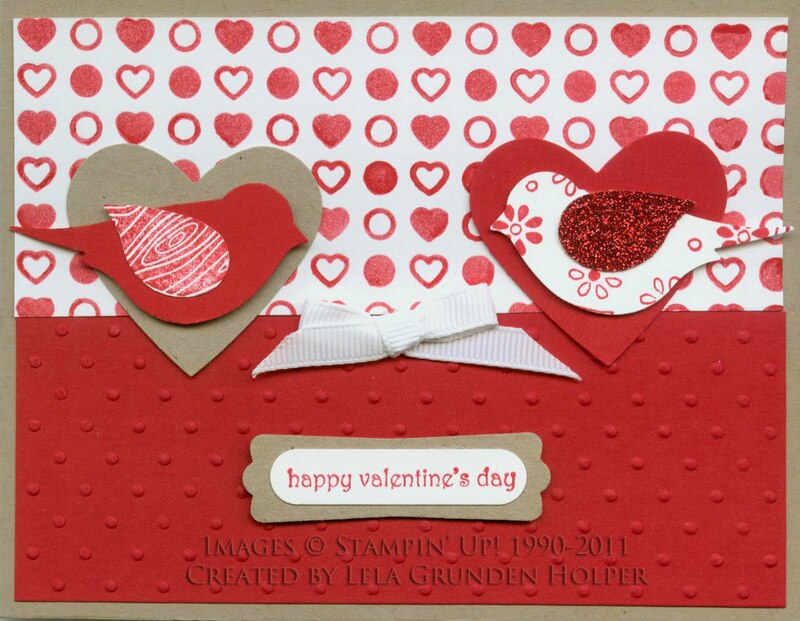 This card by Lela Grunden Holper uses the Heart Pressed Letterpress Plate for the background. Notice the bird's wing on the right is made with Red Glimmer paper. 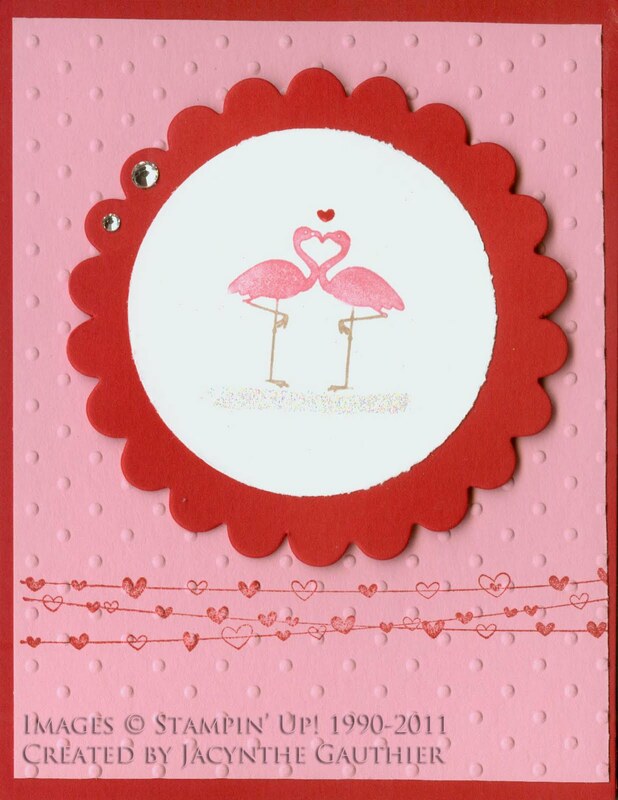 Jacynthe Gauthier made this card using the flamingoes in the Valentine Defined stamp set. Here is card by Aly Schilling that also uses the Valentine Defined stamp set. 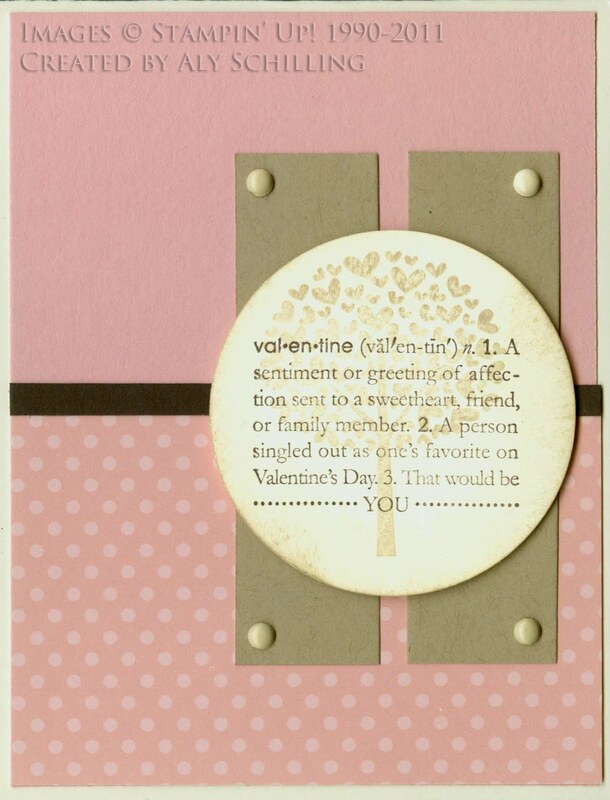 I love how you can use the same stamp set and make so many different cards. Today is also the first day of Sale-A-Bration. This is Stampin' Up! 's annual sale where you can select free products for every $50 in orders. Click here to get more details about this promotion.